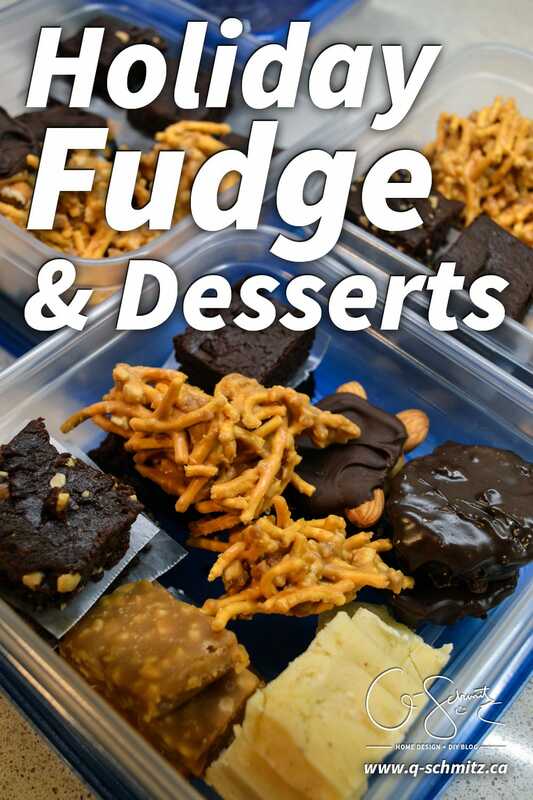 For Christmas this year I decided to gift friends and family with some homemade holiday fudge and desserts – check out the recipes I used! I LOVE desserts, and I knew that this year for Christmas I wanted to gift people some yummy treats they could indulge on. In my Gifts that Keep on Giving post, I mentioned that a few years ago I made some truffles, but this year I wanted to switch it up. 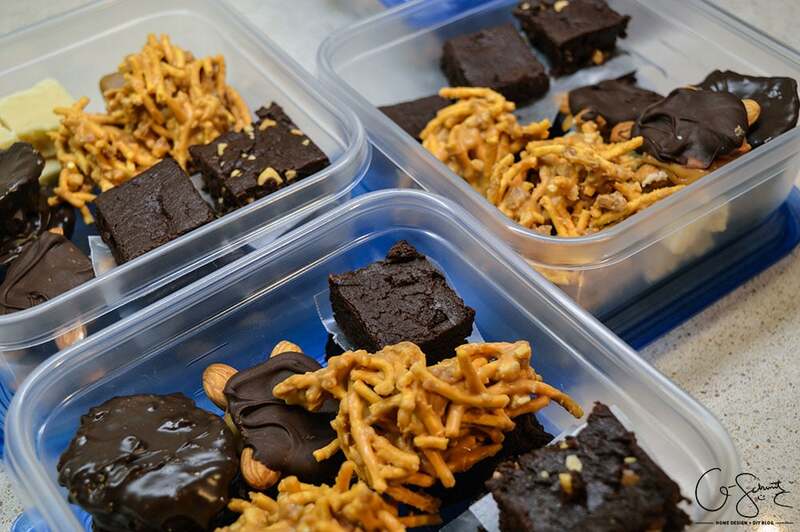 Bring on some delicious holiday fudge and desserts! I used the Reader’s Digest Christmas Crafts and Entertaining book for a couple of desserts, and others I found online. But before I began mixing things up in the kitchen, I had to take an inventory of the ingredients I had. 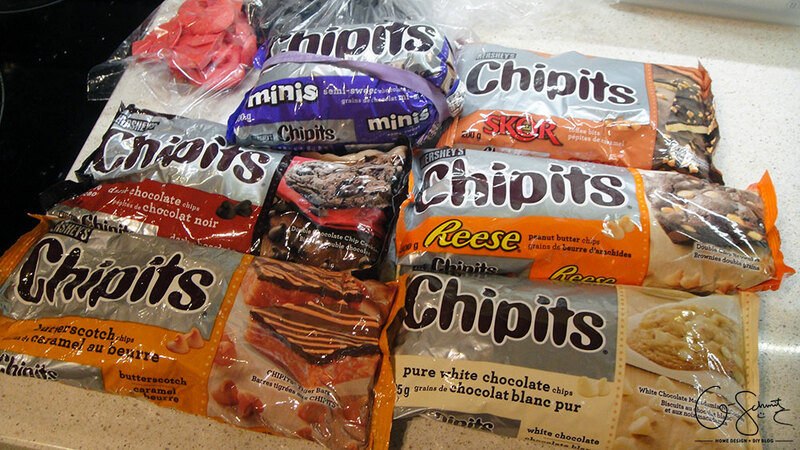 Whenever chocolate chips go on sale, I tend to stock up on a few packs each time. I always have a large bag of semisweet chocolate chips on hand so this would be a good chocolaty start! I had a few other mixings from the bulk food store leftover from Halloween, and I wanted to use these up as much as possible when I was making the various holiday fudge and desserts. The goal was to not spend any extra money, but I did have to buy some plastic containers to transport them. From the Christmas Crafts and Entertaining book, I first made a batch caramel-nut candy fudge (page 293) but I had to guess how many caramels to use and it was a bit thin. Then I did some super cute Turtlettes (page 289), substituting almonds for pecans. This used up all of my wrapped caramels (trust me, it was a hassle to unwrap each one!). 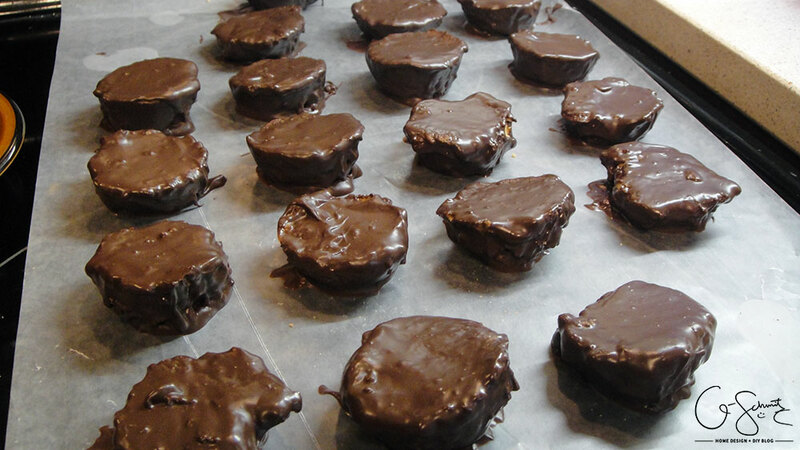 I then did a batch of peanut butter cups (page 291). I didn’t have the paper cups you’re supposed to make them in, so improvised using lined mini muffin tins. 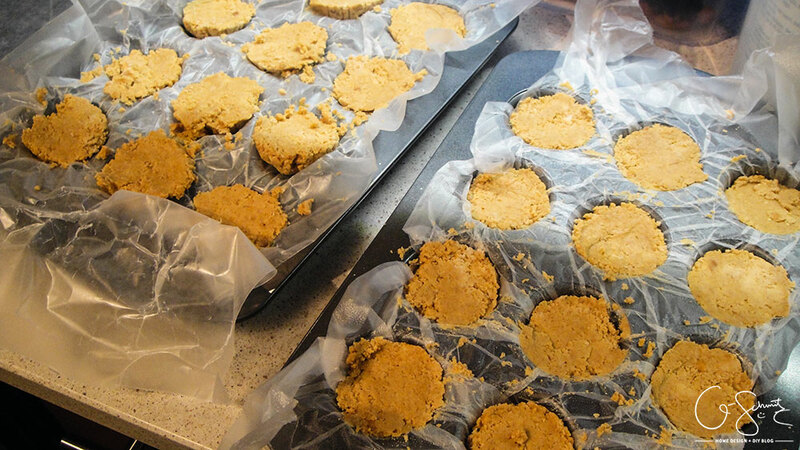 For the first pan (on the left) I used wax paper, but it was NOT cooperating like I wanted (the cups kept popping up). Luckily I have some Press n’ Seal wrap so that worked MUCH BETTER. (Seriously, I don’t even use regular cling wrap anymore because press n’ seal is the way to go!). 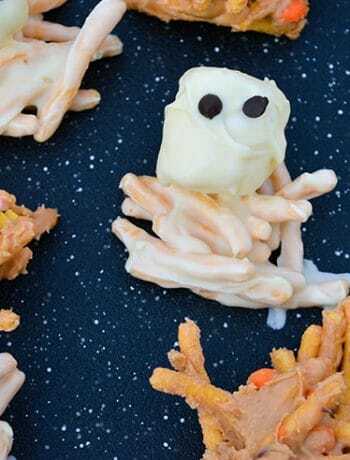 I just had to plop them out and then dip in the melted chocolate and they kept their shape. 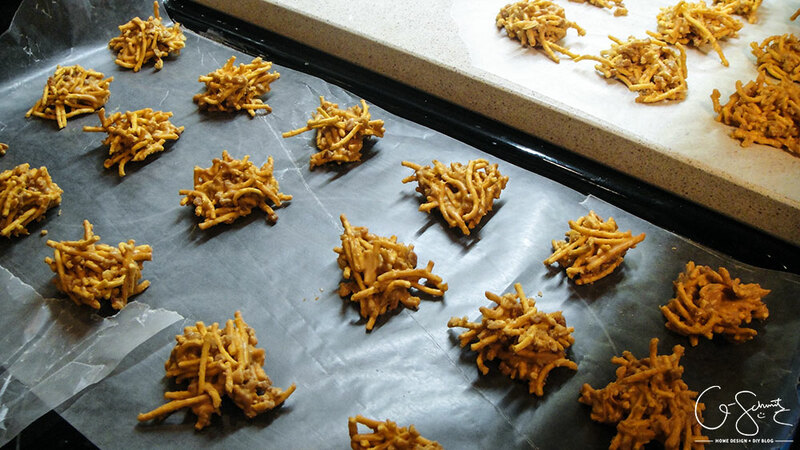 Finally, I made some haystacks (page 289) which has probably been my go-to dessert since I was little. Chow mein noodles (the main ingredient) is another thing that I seem to stock up on when they go on sale too. The Husband had just bought some eggnog so I took advantage of our stock and made this eggnog fudge. It turned out THE BEST out of all my fudges and actually tastes a lot like eggnog. I substituted mini marshmallows for the marshmallow crème (and real rum for rum extract). 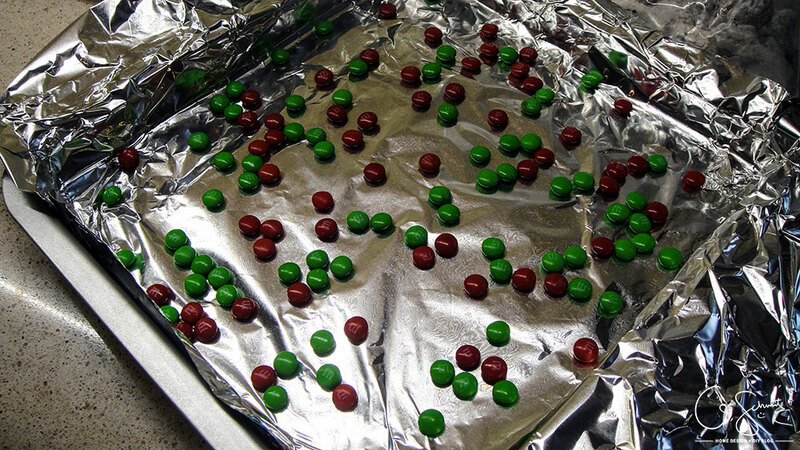 I made this slow cooker fudge, and added some red and green M+Ms to the bottom to make it more festive. I had the Husband help separate the red and green ones from the rest :) Which was probably the extent of his help… but hey that’s good at least! I realized that a lot of fudge recipes call for evaporated milk, but I never have that in my pantry (unless I planned it ahead of time) and I only had one can of condensed milk (which also limited my recipe choices). For the last batch of fudge, I decided to get fancy and make my own by adapting the eggnog fudge recipe (which didn’t call for any evaporated or condensed milk). So, if you follow the eggnog fudge recipe it’s pretty similar. Melt your margarine, eggnog, chocolate milk and sugar in a pan. Let it bubble for a few minutes, and then add the chocolate until it’s all melted. From there, add about half a cup or so of mini marshmallows and keep stirring until it gets to a good consistency, then add more until it’s nice and thick. I also added some chopped nuts and skor bits to be extra fancy, but you can do whatever you like! Mine was a bit more oily(?) than the eggnog one, so maybe some more marshmallows (or less margarine/milk) would have made it better. I did just use a paper napkin to wipe up the excess grease/oil from the top as it was setting. 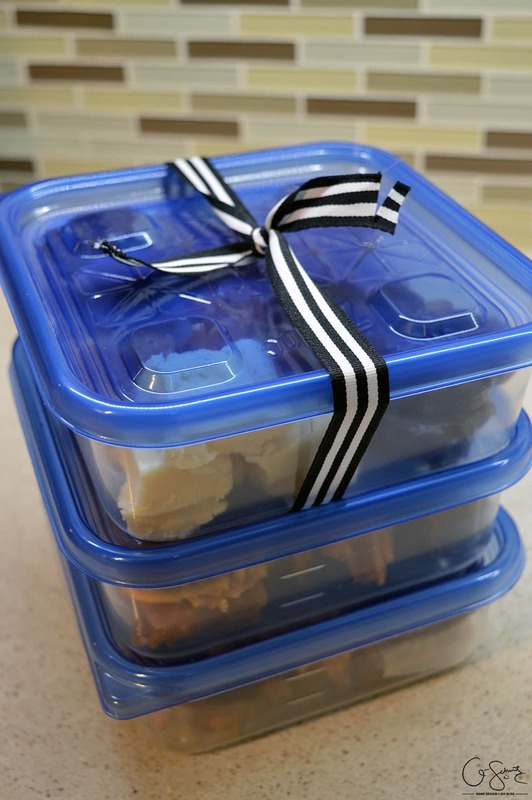 Each time I would finish a batch of desserts I would add two pieces to the containers the Husband got for me. 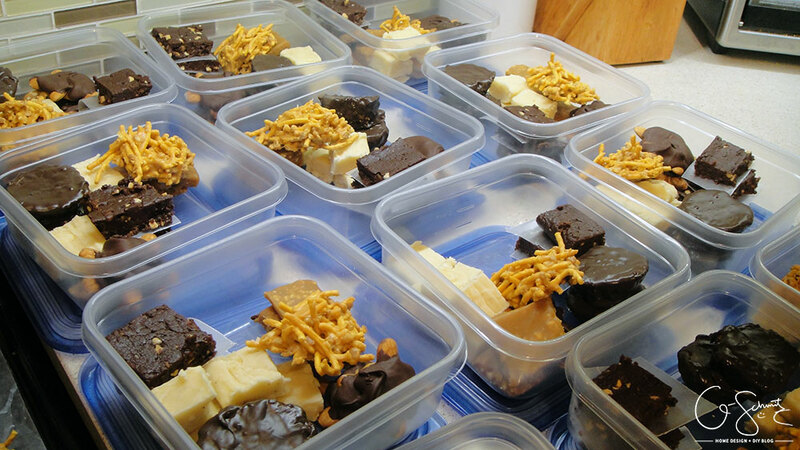 I made 12 containers in all, and designated each one to a family member. So if you received one of these containers from me, you now know what was in each recipe and you can make your own when you run out! 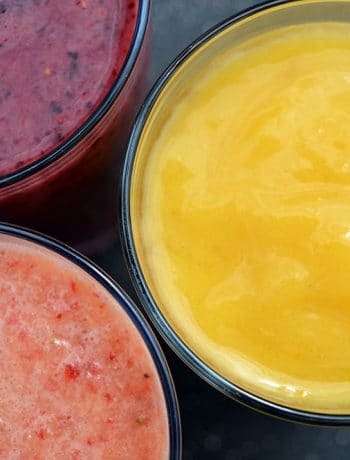 Has anyone else made any of these recipes, or do you have the Christmas Crafts and Entertaining Book? I would make holiday fudge and desserts all year long, because I do love them (probably a bit too much) it might not be so good on the waistline… at least we can indulge a few times a year! 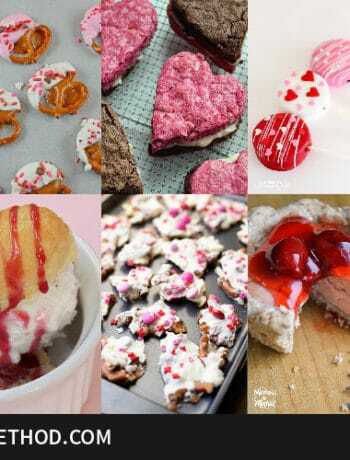 Did you make some homemade treats this year? Our Striped Accent Wall Painting the Walls Neutral: How Early do you Plan for Resale?